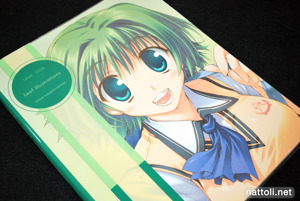 It's hard for me to consider LEAF Illustrations Tatsuki Amaduyu Edition 1998-2006 a "doujinshi" aside from the very technical reason that you just can't buy it commercially, and it has no ISBN. Other than that, this over-sized 111-page book is beautifully made, with an attention to detail in construction that you seldom see in commercial books. 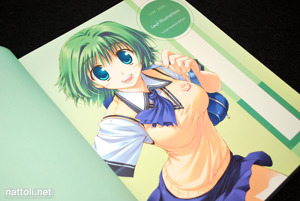 Some of Tatsuki Amaduyu's best pieces are collected here, spanning eight years and everything from To Heart to Utawarerumono (うたわれるもの). 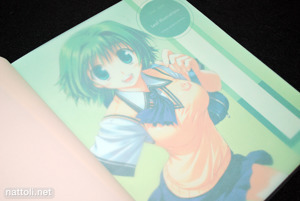 In regards to the construction, though it's soft cover, it has a clear plastic slip cover that when it's removed reveals the cover and back cover art work without any text or design obstructions. It's also a very thick and durable plastic, so it's very unlikely you'll experience any rips, tears, or snags on this book. The removable plastic cover also extends far over the cover, so it'd be nearly impossible for it to slip off accidentally. 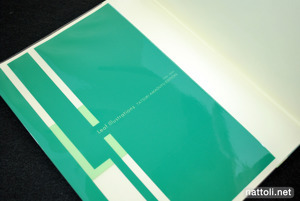 The print quality is also extremely high, on very sturdy, texture-less pages. 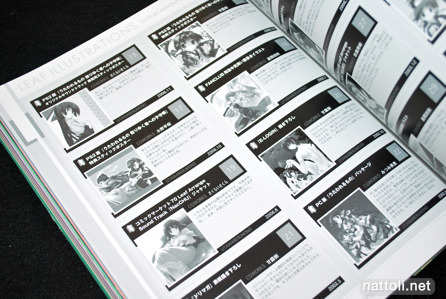 The first, and largest section of the book is dedicated to Utawarerumono (うたわれるもの). Something else I also love about this art book is that there are several art works drawn exclusively for this collection. 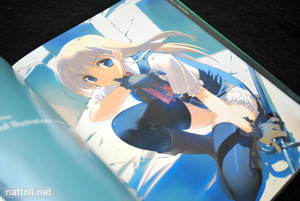 The Utawarerumono (うたわれるもの) portion of the book is 37 pages long with 41 illustrations. 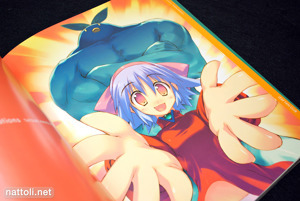 There isn't a table of contents in this book, it just jumps right in, but there is a lengthy index that includes artist commentary (on each picture!) and publishing details. For the most part, the art works in this section are full page, or spreads. 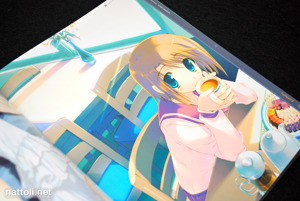 The following section consists of To Heart illustrations, which he worked on with Mitsumi Misato to a point where their separate styles almost blend. 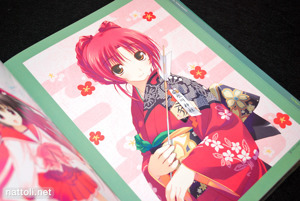 Some of the illustrations in this book are even collaboration works, and also appear in the LEAF Illustrations Mitsumi Misato Edition. I think that's only the case for two illustrations though. I've never been a fan of To Heart---I watched the old series in the late 90's and that was it for me. The main thing that turned me off it was the uniform design. Red and pink just isn't flattering. It's a silly complaint, but since I initially get into most series/games for the art work, unflattering styles can really be a road block. 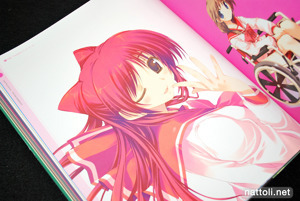 The To Heart section has 27 illustration in total on 23 pages. 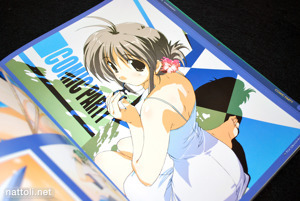 I didn't know that Comic Party was illustrated (though not designed) by Misato Mitsumi and Tatsuki Amaduyu at the time, but I can see it more easily now. 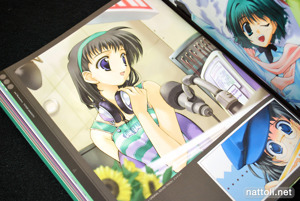 Several of the works they did for the game were done in an uncharacteristically anime style which you can see in some of the illustrations in this section. 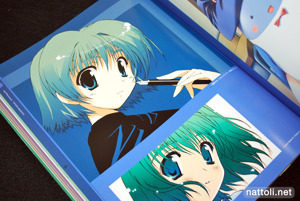 This section is 17 pages in length and contains 25 art works. The final part of the book consists of three short sections; Others (3 illustrations), Leaf Fan Club (26 comic style illustrations on 9 pages) and Original (6 illustrations). 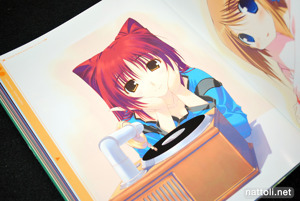 The Others section has some copyright works, but the only one I recognize is from Tears to Tiara. The Leaf Fan Club isn't too impressive, with mostly monochrome works. 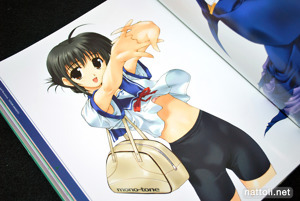 And the Original section has some rather generic girls-in-swimsuits illustrations. You actually like indexes? I really hate paying for an index in this digital age of scanners. I think he's saying he would rather have illustrations without indexes, thus a reduced price perchance? The relation between digital age and scanners is a bit weird here. Actually there is no need for scanners if publishers wants to make a digital publication since everything is now done on computer. Output a PDF and you are set, but the index will still be there, scanners or not, digital age or not. Also I would rather pay an index ( which should be around 0.30$ ) than illustrations with informational text over them. Well people are free to fix their price ^^; but for that price I would rather get a game lol. Anyway, you are just pushing the price down ! demands/offer! Love his colors, glad to see full page images, think I'll try and get this sooner rather than later!